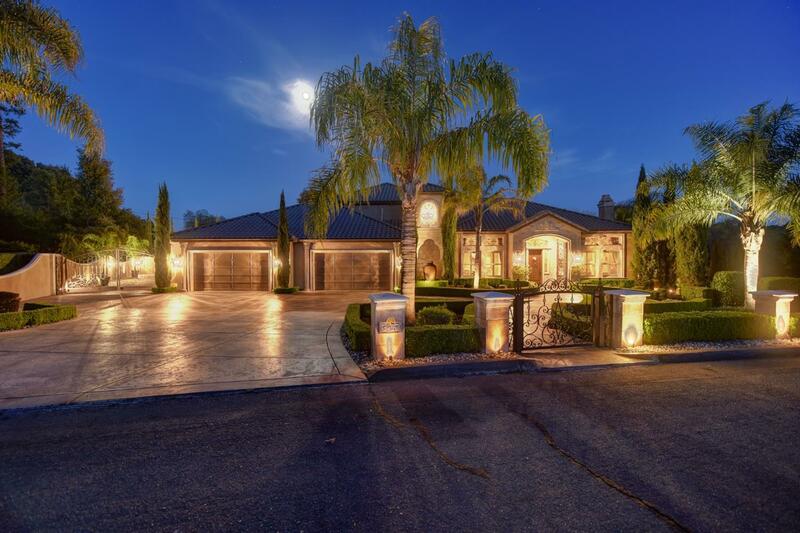 One of kind luxury estate on just under an acre in desirable Loomis school district.In addition to the main residence there is entertainment pavilion of aprox. 1, 200 Sq.Ft. The pavilion captures 360 views features a full living room, fireplace, bar area with seating for 8, 2 sinks, ice maker, refrigeration, tap cooler encased refreshment system, and ice maker, a kitchen area 48 inch grill, warming drawers, griddle, gas cook top , Leather mat granite counters, serving station, trellised and lighted caf dining area. The negative edge pool features dancing waterfalls, custom multi lighting, pebble tech finish, pyramid spa and imported stone for lounging. Attached 6 car drive through garage with sleek line cabinetry and epoxy floors opening to 10 + car motor court/sports court. Detached 2 car garage (Casita?) w/horseshoe pit and river waterfall fire pit seating area.The interior of the home is exquisite-2 downstairs master suites, 3 fireplaces, wine area, den-Just come see it already.